Now what? Have you made your list and checked it twice? You probably have a few lists. It's definitely the time of year we need to be more patient with everyone. We're all in such a hurry, life is busy for sure. The holidays should be filled with happy times with family and friends. Some can't wait to be with family, others are dreading it and some are just sad. 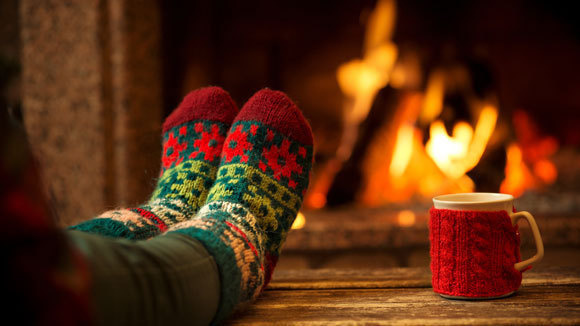 Take the time to slow down, put your feet up and find the happy, big or small finding the joy in this holiday season. The gift of an experience, especially if it's with you is great. Lunch and a movie, Top Golf , Escape Rooms , wine tasting at Coopers Hawk , dinner at The Melting Pot tickets to see Trans-Siberian Orchestra are just a few. Remember, it's about the experience. Stress takes over, don't let it. Have a plan, make a list, delegate, it will help. Simplify...bigger is not always better. There's not a better gift then time. Life is short. Visiting, helping, fixing, & doing is so precious & appreciated. I encourage you to reach out and touch someone. Pick up the phone, let someone know you're thinking of them. When baking cookies take some over to your neighbor. Think about the quiet ones that live alone. Pay if forward in the drive thru line. Drop money in those red buckets when you walk out of the stores, every time! Blessings to you all this holiday season and to all a good night!